IT was a sight to be seen yesterday, but not necessarily one for sore eyes. Warwick Daily News media sales manager and born-and-bred Graftonite Nick Inmon foolishly agreed to a workplace bet over Origin 2013 which involved the loser being forced to parade in public somewhat scantily-clad. 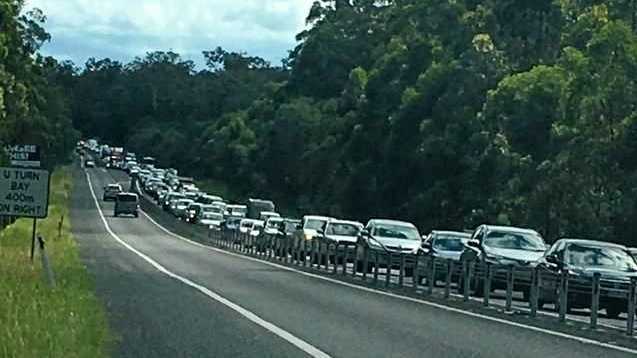 With the football gods having once again shone upon Queensland our favourite New South Welshman was as good as his word yesterday and stripped down to the blue jocks and donned a suitably humiliating placard for a stint on the highway, much to the amusement - or perhaps horror - of the travelling public. Fortunately he didn't go quite as far as Wednesday night's streaker, otherwise there may have been a serious traffic incident. He also refused to go for the full 80 minutes, not to mention extra time. It was a fitting end to one of the most exciting Origin series I can recall - including the surreal Wati incident - and good on Nick for being a good sport in the face of loss number eight.